I have a new favorite body wash! 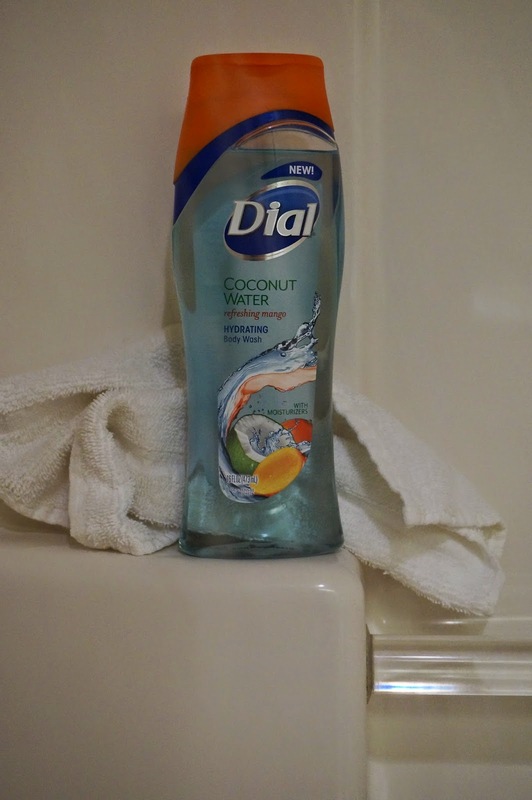 I recently received the opportunity to try the new Dial Refreshing Mango Coconut Water Body Wash. I really like this! It smells so refreshing and leaves your skin feeling smooth and soft. Coconut Water is a leading trend known to be rich in Antioxidants and electrolytes that help provide replenishing hydration. Mango is known for being nutrient rich and adds a touch of tropical freshness. In our home filled with 8 people, we have a shelf full of soaps and body washes. When someone finds a favorite they mark their name on it so no one else will use it. The new Dial Coconut Water Mango Body Wash will have my name on it. If not, it will disappear so fast. I brought mine on our trip! 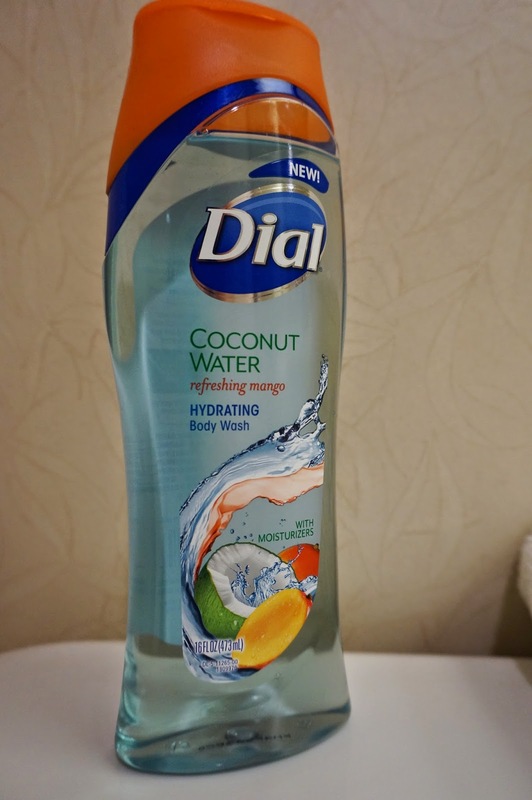 The really good news is, two of my neighbors are going to have the chance to try the new Dial Coconut Water Body Wash. I have 2 coupons for a free bottle.Are you interested? I sure hope so. Let's get started. Thanks for stopping by and be sure to visit again soon! Start thinking back to school clothes and shoes! Run, don't walk, to grab your new favorite runaround shoes from Reebok! Today only, the Skyscape is just $39.99 in 3 eye-catching colors. Be sure to use the promo code: CLOUD9 at checkout to grab your discount. Be sure to check them out! Thanks for stopping in! We are clearing out the remaining stock of the 2010 version of the Keepers at Home Handbook. There is a limited quantity which will likely go quickly until they are sold out. To order the handbooks, you must place your order by phone and ask for the old handbook by name. The handbooks are marked down 40% off the original price for the clearance sale. This means they will be selling for just $9.57! They also have a Bargain Bin with a large clearance selection! Tomorrow my husband and I will have been married 32 years. What a great 32 years it has been. Not to say there haven't been trials or some tough times, but serving the Lord together is worth it all. We have 6 blessings who are no longer little children. The youngest is 13and the oldest is 29! When did they grow up? Well, the children took us to dinner last night at a dinner theater in WI. Only the girls could go as the boys had to work. There was a gospel concert after dinner. Wow! It was really nice. Dinner was a buffet with fish, chicken, and all the sides. For dessert they had a Frozen Lemon Ice Cream Pie. I couldn't have the dessert, but everyone else enjoyed it. The dinner theater had many small shops we were able to wander both before and after dinner before the concert started. We enjoyed looking around. Saw some really cute gift ideas! The concert was great! Triumphant Quartet. My husband and I haven't seen them in quite some time. Really enjoyed the music and getting to talk to them again. You could not take pictures in the concert, so I added a picture of their table. They sang one of my favorite songs, "Somebody Died For Me". Next we are headed to Chicago, where we are going to do some shopping and then visit Medieval Times. I will share some pictures tomorrow. 15% off on all new Little Passports subscriptions only 1 day left! Get ready for back to school with a new subscription to Little Passports. Shop a limited-edition of back to school products or start your kids on a fun journey of learning that will bring a new adventure to your doorstep every month. You have one day left to get15% off on all new Little Passports subscriptions with code: COOL15. Be sure to check out Little Pim! See you soon! Each mom is on a voyage in life, so I really like the name for this new site, Mom Voyage. Whether you have children, are expecting or you want to have children, Mom Voyage is one of those sites I recommend you visit. Moms from all over the world are sharing thoughts on topics from naming your child to pregnancy cravings or baby showers to pregnancy myths. Be sure to book mark their page so you can go back as often as you would like. Having given birth to six children I still remember those times of research and wondering if I was doing things right or how others handled a certain situation. Now by visiting Mom Voyage you can connect with other moms who are on the same voyage, and not just from your country but from many other countries. See how they handle food cravings, preparing for delivery, deciding to nurse or bottle-feed. Be sure to follow their social media also. You will find them on Facebook - HERE, and on Twitter - HERE. Many of you ay know we occasionally work with Nonni's Biscotti as they reveal new flavors. Well, here they are! We have Almond Dark Chocolate, Very Berry Almond and Double Chocolate Salted Caramel Biscotti Bites. My family actually stood here discussing which one they like better and why! The Double Chocolate Salted Caramel just disappeared as H claimed them. C didn't care so long as she left the Very Berry Almond. We did notice that the Very Berry Almond was not as crunchy as the others. Nonni's Biscotti are perfect with a cup of hot tea, coffee or cocoa to dip them in. These are our adult treats! One you can hide in the cupboard for an evening treat after the children go to bed. How do you like your Biscotti? It all started about a century ago in the little town of Lucca Italy where Nonni (Italian for Grandmother) baked delicious cookies using only real ingredients that she could gather from the tiny markets along her narrow cobblestone streets. When Nonni’s came to America she brought her passion for baking, her unmatched old world recipes and knowledge that right ingredients blended and folded in made the difference. Soon Nonni’s cookies became a favorite here as well. Nonni's Biscotti Bites maintain Nonni's devotion to use only the highest quality ingredients, including real almond pieces, dark chocolate drizzles, luscious caramel bits, sweet cranberries, and creamy Greek yogurt. Biscotti Bites are less than 40 calories per cookie. Nonni's is going to do a giveaway with this one! Are you interested in a GREAT snack? Let's go! Thanks for stopping in! See you soon. Belle, our blue merle Sheltie, recently was able to try out a special blend of Petbrosia. Petbrosia gathers information on your dog and then creates a nutritional food specifically for him/her. When you first go in to order, they will ask what breed, or mix of breeds your dog is. Then they will find out it's age, size, and activity level, all so your pet will receive the right amount of nutrition. They will also tell you when you receive your shipment how much and how often your dog should be fed. Yes, they deliver right to your door! Belle receives 2 cups of Grain-free Salmon food per day. We usually feed her 1 cup in the morning and 1 cup later in the afternoon. They actually break down her requirements for me. See picture below. Salmon is an excellent source of vitamins, essential fatty acids, and protein, and can be a great meat alternative for senior dogs and dogs with food allergies or sensitivities. · Our Grain-Free Salmon is truly a single protein formula. · Added L-Carnitine, helps the body utilize fat for energy while maintaining the lean muscle mass which helps reduce the overall body fat. Belle is a Sheltie and as such is really active. Just see her when she is given free reign of the back yard. She doesn't stop. Belle needs different nutrients than a more laid back dog would need. Petbrosia gives you the ability to do just that. We have a friend who has a dog who is really a low activity level dog. She obviously does not have the same daily requirements that Belle would. Petbrosia delivers directly to you. You can choose to have a regular delivery shipped automatically every month, or you can order as needed. As your pet ages, Petbrosia will update the information so your dog will continue to receive exactly what they need. Petbrosia uses real free run chicken and salmon. They are antibiotic and hormone free. There are no corn, soy, wheat, gluten, or by-product meal. They include vitamins and supplements to help your pet. Included in every Petbrosia diet is Glucosamine and Chondroitin to help your pet maintain healthy joints. Excuse the barking. Some of the older dogs are not happy Belle gets fed twice! LOL! Every pet is Unique, is Petbrosia's theme. You wouldn't feed a Chihuahua puppy the same thing you would feed an adult Saint Bernard. Take some time and check out Petbrosia's website along with their social media and see what others are saying. Not only does your pet get a personalized diet, but it is delivered right to your front door. Petbrosia is offering a special code to my neighbors for $10 off your first purchase of Petbrosia. Just enter the code: BREQ10 when ordering. Petbrosia also does cat food, so all you cat lovers need to visit their site too! One neighbors will receive a FREE 3 lb box of either dog or cat Salmon Petbrosia. Thanks for stopping by! Now enter and share this giveaway! Just wanted to let you know that the Build Your Own Bundle Sale runs all of this week. Some really great news is, they recently changed it from buy two pre-packaged bundles get one at 50% off to, buy two get the third FREE! That's right FREE! They have some really super specials, divided up by age/grade. They also give you the opportunity to Build Your Own Bundle. Be sure to check them out! Be sure to get in before the sale ends! I just had to share this sale with you! 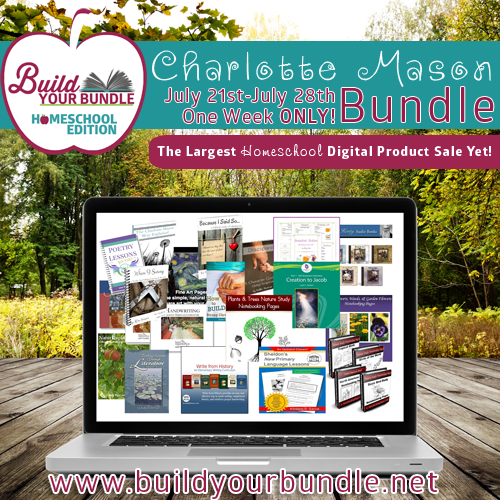 If you are looking for curriculum for this year there are some great deals to be found at the Build Your Bundle Sale. I will be sharing some other specials with you throughout the week! Be sure to click in from here as this I am an affiliate. Thanks and enjoy! 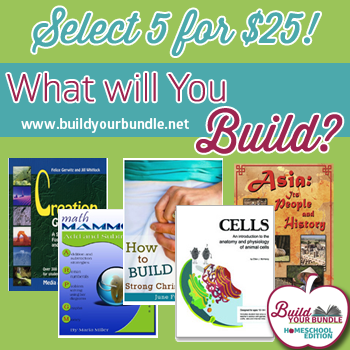 The "Build Your Bundle" - Homeschool Edition sale is going on for one week only (July 21-28)! There are so many wonderful products and amazing deals! We are highlighting the Elementary Bundle below. Your 4th-6th graders will develop foundational skills and gain insight into the ancient world using the comprehensive collection of resources found in our 4th-6th Grade Bundle. This bundle features science curriculum and a creative writing course from Cathy Duffy's Top 100 picks, Mapping the World with Art - a blend of history, geography, and art, math, Bible, handwriting and copywork resources, writing guides, timeline cards, ancient history notebooking pages, creative writing for both boys and girls, and an editable weekly homeschool planner for Mom! 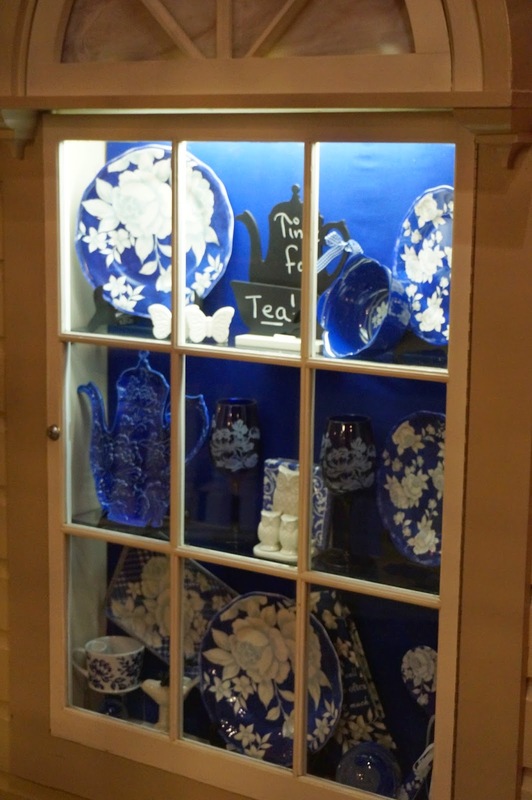 There are 2 products in Cathy Duffy's Top 100 Pics in this bundle! Buy more & save more! Purchase 2 pre-assembled bundles and get the 3rd one 50% off! See site for details. This Cathy Duffy Top 100 curriculum is a creative writing course for grade 4 through 6. All the practicality, humor and fun of Wordsmith, but written for the younger student, ages 9-12. An easy to use writing course encouraging students to develop their writing skills as they participate in every role on a newspaper staff: editor, reporter, writer, etc. Flood geology comes alive with the 57-page teaching outline included. This study includes easy to follow lesson plans for K-12, over 300 activities and experiments, information about radiometric dating, oil and coal formation and Geologic formations and fossils occurred during the time of Noah's Flood, vocabulary list, recommended reading (not necessary to complete this study), math activities, book reviews, reproducible sheets and much more! "Mapping the World with Art" is a blend of history, geography, and art for ages 10 and up. This curriculum is actually three books in one. The first section is a history text history lessons that tell the story of cartography from ancient Mesopotamia up through the discovery of Antarctica in the late 1800s. The second section of the book provides step-by-step drawing lessons for each of the history lessons. After you learn some history, you draw the primary place you read about. The Bible Road Trip Year One Curriculum is a 480-page digital PDF download of the full Bible Road Trip Year One curriculum for all five levels, preschool through high school. The Bible Road Trip Year One Curriculum includes the Parent / Teacher Guide and 32 weeks of curriculum schedules for all grades. Do you anticipate your student using computers in the future? Is your student going into a technological field? How far your student will go will be determined by their proficiency in computers. Give them the edge in computer applications by purchasing curriculum that really works. Tired of looking for a brand-new homeschool planner each year? What if you could buy ONE planner, type in your plans, save them and use the same planner year after year? The Weekly Homeschool Planner will help you organize your school day and record your daily learning. Additional forms help you keep track of testing results, evaluations and special events. 136 timeline cards covering Ancient History: Creation to Early Greeks. Includes: 2 sets of cards: 1 with dates and 1 without dates / Memory Work & Copywork pages / Blank Timeline Cards / Blank lines & generic design to print on backside of cards / 3 different style timelines. Math Mammoth Introduction to Fractions contains lessons for fraction arithmetic for grades 1-4. The topics covered are on a simple level, constantly illustrated with visual models, and with small denominators. Fractions 1 covers the concepts of fraction and mixed numbers, equivalent fractions, adding and subtracting like and unlike fractions, adding and subtracting mixed numbers, and comparing fractions. These Writing Guides are for beginning and reluctant writers. Each set can be used with children as young as Grade 1, starting with Writing Instructions, and Writing Poetry, and children in Grade 2 for Writing a Biography and Writing a Research Paper. Your students will be guided step by step in creating an adventure where both the student and her characters grow in faith towards God. Each of the 12 lessons will teach the basics of creative writing such as: creating the princess character, developing a faith filled plot, using your senses in a setting, and spicing up your dialogue. Creative Writing has never been easier! Eighty pages of lessons and lapbook fun- it's a wonderful way to engage boys to write! Create a secret code, make a battle drum, become a spy and write about it! Kids can't wait for school time! 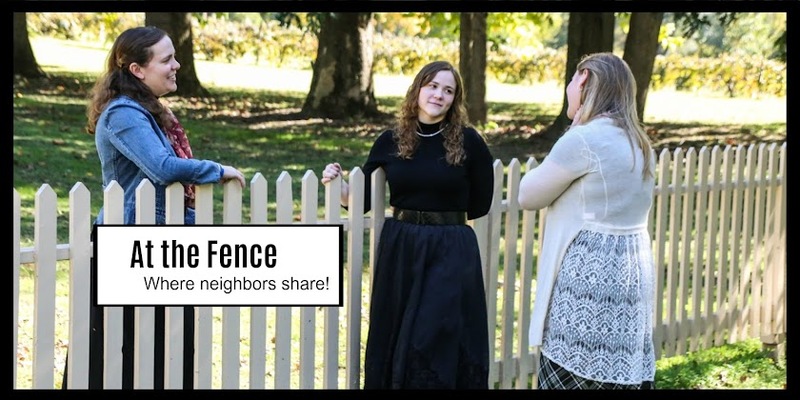 Homeschool Copywork is a brand new membership site with a Charlotte mason flare. There are currently 18 different copywork ebooks and 1 artist study available in the Homeschool Copywork Full Membership Area. By purchasing this bundle, you will be given a full membership for one year. Did you know that dragons are mentioned in the Bible 22 times? Dragons of the Bible contains each of the 22 verses for copywork in lined manuscript, regular cursive, and regular print PLUS notebooking pages and coloring pages for each featured dragon graphic. The beautiful line art graphics are perfect for coloring as a reward for a job well done. When you purchase ANY 2 pre-assembled bundles you will get the 3rd pre-assembled bundle of equal or lesser value for 50% off! When you purchase ANY 2 "build your own" bundles you will get the 3rd "build your own" bundle of equal or lesser value for 50% off! Tell your friends about the "Build Your Bundle" - Homeschool Edition Sale using our referral system that is found on the top of the website! When 10 of your referrals visit our site using your unique link, we will give you a code to save 10% off your total purchase! *The B2G1 50% off offer applies to pre-assembled or "Build Your Own" Bundles only. Discount taken off the lowes priced bundle. See site for complete details and FAQ.